Tomorrow is a big day for inventors. It is significant because it is the day on which Directive 2016/943 ("the Trade Secrets Directive") is due to be implemented. Every country in the EU, including the UK, has to bring its laws on trade secrets into line with the Directive by 9 June 2018. It concerns inventors because every patented invention is supposed to start out as a trade secret and for many other inventions that's the way they remain. Why was the Directive adopted? At paragraph (9) of a set of paragraphs known as "the recitals", the European Council and Parliament explained that they adopted the Directive because there are big differences in the way that different countries protect trade secrets giving rise to uncertainty, causing unnecessary expense and impeding new product development in Europe. The most important provision is art 6 (1) which requires EU member states to "provide for the measures, procedures and remedies necessary to ensure the availability of civil redress against the unlawful acquisition, use and disclosure of trade secrets." (c) it has been subject to reasonable steps under the circumstances, by the person lawfully in control of the information, to keep it secret." Basically that has always been the position in the UK but that was not the case in every country. What is meant by Civil Redress? Basically injunctions (orders by a judge) not to acquire, use or disclose trade secrets in future or the payment of compensation or other monetary relief for unlawful acquisition, use or disclosure of trade secrets in the past. In some circumstances, injunctions and other relief such as orders for the preservation of evidence or assets can be granted before the issue of proceedings. Do we have to comply with the Directive as we have voted to leave the EU? Yes as the UK remains a member of the EU until 29 March 2019 at the very earliest and we should have to abide by EU law until 31 Dec 2020 under the draft withdrawal agreement or even longer under the proposed backstop agreement. More importantly this Directive works in favour of British business because entrepreneurs and inventors know that for the first time the trade secrecy laws of the other countries of the EU are more or less in line with those of the UK. What has HMG done to comply with the Directive? HM government believes that our law of confidence and contract law plus our Civil Procedure Rules already comply with most of the provisions of the Trade Secrets Directive but it has identified a few issues where they do not. One concerns definitions and the other the time limits within which an action for unlawful trade secret acquisition, use or disclosure must be launched. Also there is some doubt as to whether the Scottish courts have the powers to make the orders required by the Directives. To address those issues, Mr Sam Gyimah MP, Minister of State at the Department for Business, Energy and Industrial Strategy, has signed The Trade Secrets (Enforcement, etc.) Regulations SI 2018 No 597 which will come into force tomorrow. 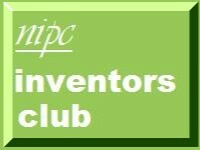 So what do Inventors need to know? Even though reg 3 (1) of the regulations makes clear that the existing law of confidence still applies in relation to trade secrets the Directive may give trade secret holders (that is to say, persons lawfully controlling trade secrets) greater rights and powers. Also, we are used to talking about "confiders", "confidantes" and "breaches of contract" while the Trade Secrets Directive introduces new terms time like "trade secret holders", "infringers" and "infringing goods". It would probably be a good idea for trade secret holders to ask their lawyers to review their terms and conditions, standard contracts and, in particular, non-disclosure and confidentiality agreements to make sure that they are still effective. I have written more about this topic in Transposing the Trade Secrets Directive into English Law: The Trade Secrets (Enforcement etc) Regulations 6 June 2018 NIPC Law. That article links to some of my other articles on that topic. I am also giving a talk on the topic at Barclays Eagle Labs in The Landing on 26 June 2018. If you want to discuss this article or trade secrets generally, contact me on 020 7404 5252 during office hours or send me a message through my contact form.